Do you need high-fidelity and reliable voice communications? 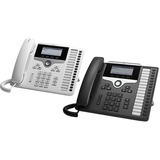 Secure and scalable communications? An entry to HD video? 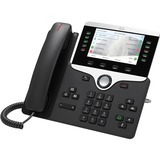 The business-class Cisco® IP Phone 8845 can deliver all this and more. 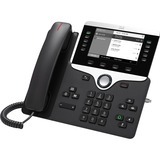 The Cisco IP Phone 8845 can help you increase personal productivity through powerful and easy-to-use user experiences. 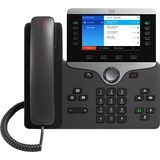 It combines an attractive new ergonomic design with 720p HD video and wideband audio for crystalclear video and voice communications and "always-on" reliability. 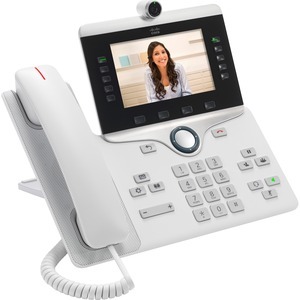 The 8845 encrypts video and voice communications for security, and offers access to a comprehensive suite of unified communications features. In addition, Cisco Intelligent Proximity brings the worlds of desk and mobile together for you when you are using your mobile device at the desk for your work. You can move the audio path over to the 8845 during active mobile calls to take advantage of its superior audio acoustics. 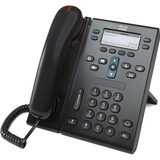 An example would be to share a conversation with a colleague who listens in. 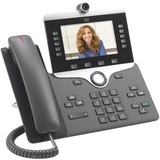 This capability gives you greater flexibility when at your desk. 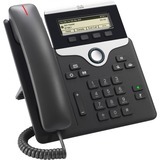 The Cisco IP Phone 8845 offers five programmable line keys. 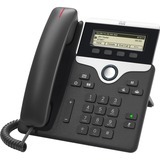 You can configure keys to support either multiple directory numbers or call features such as speed dial. 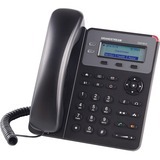 You can also boost productivity by handling multiple calls for each directory number, using the multicall-per-line feature. 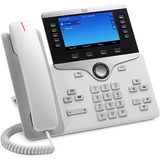 Fixed function keys give you one-touch access to applications, messaging, directory, as well as often-used calling features such as hold/resume, transfer, and conference. Backlit acoustic keys provide flexibility for audio path selection and switching.